The car I decided to build this year is “The Snake” funny car, this one was brought back into the public eye by the 2013 movie, Snake and Mongoose. Years back I wanted to make these cars but the daunting task of re-creating all of the sponsor stickers as decals has kept me from completing this. I have slowly found the period correct stickers and slowly worked to get them complete. I had even thought of purchasing the 1/25th model kits and grabbing the decals, but then I found the monogram kit did not contain the Coca Cola decals. I'm guessing there was some sort of issue with Coke not letting Monogram use their logo. If there is anyone that does not know the history of the Snake and Mongoose here is a brief history: Don “the Snake” Prudhomme vs. Tom “the Mongoose” McEwen. Their racing feud made headlines for years. But it wasn’t until toymaker Mattel entered the picture and made the Snake and Mongoose Funny Car rivalry a Hot Wheels promotion that drag racing became a multimillion-dollar business. They were one of the first teams to have promotional stickers all over the outside of their race vehicles. When this car was complete it weighed in at about 4.4 oz. weight was added to bring it up to 5 oz. This car was built for our car club Pinewood Derby, this year in the Real Street race “The Snake” took first place for speed in this race. It was also entered in the stock PWD race, in this race the car was awarded 4th place. Last edited by ah8tk on Fri Nov 10, 2017 6:56 pm, edited 1 time in total. And I know what your saying about the decals..
some times there the hardest to recreate or to come up with when doing a special car or truck project. For a while there in your topic on the history of the Snake" & Baracuda funny car. The car hauling truck seen in this link.. It reminded me of Tyrone Malone. And his drag racing semi trucks The Super Boss & the Bandag Bandit. Just some cool looking drag racing semi trucks id like to make some time. Last edited by whodathunkit on Sat Mar 19, 2016 4:37 pm, edited 1 time in total. Holy cow! Beautiful car. How did you draw and make your own decals? If I were to say.. Andy & Noah use a computer for there drawings and decals windows visio if i recall. Don't know what computer program there useing now or days.. There is an article in the Maximum Velocity pinewood derby times news letter vol 9 issue 9. Creating the King ! were they talk about it while building and creating the King car. Mark, the haulers and the Snake and Mongoose cars that sold back in 2013 at the Barret Jackson auction (actually they did not sell during the auction, but after the auction), was the thing that got me going on building this car. I plan on building the Mongoose car, but not this year. 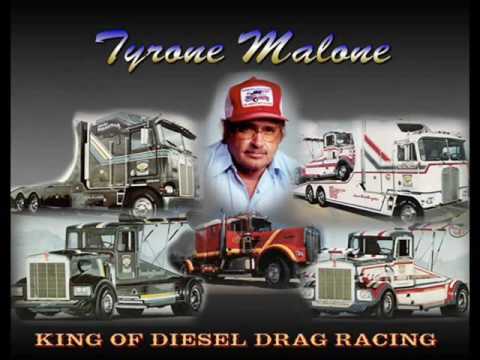 The Tyrone Malone trucks and truck haulers look very interesting also. After looking at the decal sheet I was able to research vintage decals or stickers from these different sponsors and re draw them so they look presentable on the car. It was at this time I found out that Coca-Cola was not part of the Monogram licensing for the models. This process of printing decals is illustrated in the link to the King build I did back in 2009, that Mark provided the link to. Last edited by ah8tk on Fri Nov 10, 2017 7:08 pm, edited 2 times in total. I didn't even know that was possible. I impressed myself when I got started here and figured out how to post a picture. Unbelievable car you've built there. Thanks for the info on the transporter trucks. I found a link to an image of the Richard Petty transporter. It's hard to tell if the transporter truck seen in the back ground is the same truck or not. When you get around to building the Mongoose car Andy..
Wood you please share.. more in depth photos of your handy work with the wood chisel shaping! As I have always enjoyed seeing the wood chisel shaping work in all your car builds.